Whitehall Waterfront is an extremely handsome sixteen storey high contemporary apartment block on Riverside Way. Its sheer size and stylish gull-wing roof make it the type of building that is instantly recognisable on the Leeds cityscape. But this development is equally impressive on the inside as well. All of its apartments are well planned-out with some fantastic attention to detail. Think superb quality fittings top quality kitchens/bathrooms super- wide balconies and you have a pretty good idea of what you can expect from Whitehall Waterfront . 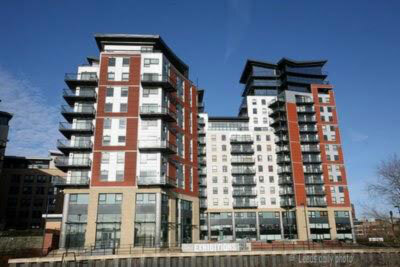 Whitehall Waterfront provides southern views across the River Aire which really are out of this world. And there is also a lovely communal waterfront terrace to be enjoyed. All in all this is a fantastic development with a great deal going for it. City living doesn t get much better than this especially when you have such a great choice of shops pubs and restaurants so nearby Whitehall Waterfront residents site. Not a bad place to live. Great location but the block is showing it’s age now. Great location and looked after well not the best views though. A little bit soulless and out of the way even though the development isn’t far from town or the Round Foundry it feels a bit too far.